Good dental hygiene is vital to maintaining healthy teeth and gums. 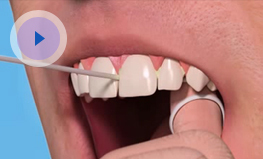 At Dental FX in Glasgow we recommend that all of our patients attend regular appointments with a dental hygienist. We have three hygienists at our Bearsden practice: Nicola McPherson and Michelle Britton. All of them use the latest equipment, including an Airflow machine to remove plaque and stains, and the most up-to-date techniques to help keep your mouth in tip-top condition. At Dental FX we believe hygienists play a vital role in preventative dentistry. Your hygienist will professionally clean your teeth, removing all traces of plaque and tartar. This is important even for patients with a good homecare routine because most people have areas of their mouth that are difficult to reach with brushing and flossing alone. Our Airflow machine uses compressed air, fine powder particles and water to remove plaque build-up (which can cause discolouration) and even the most stubborn stains from the teeth. Many patients find this more comfortable than a traditional scale and polish. Hygienists also play a vital role in treating gum disease. Gum disease is the leading cause of tooth loss for adults in the UK, but it can be easily treated with prudent oral healthcare and regular visits to your dentist and hygienist. 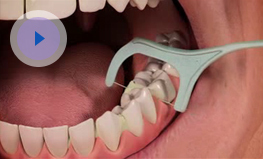 In addition, your hygienist will provide you with personalised Hygiene advice to ensure you are using the best tooth brushes, brushing techniques, floss and special products such as interdental brushes to keep your teeth clean and healthy between practice visits. They can also offer dietary advice, specially tailored to be age-appropriate and to suit every patient’s individual needs. For patients with advanced gum disease (periodontitis) we offer the services of a skilled periodontist here at our Glasgow practice. The Periodontist visits Dental FX twice a month to provide specialist periodontal treatment. We welcome referrals from other dentists whose patients need advanced periodontal care.